Mike had the Coral Lee built in 1991 after his previous vessel, Oceanus, sank off Seward two years earlier. The bulbous-nosed Coral Lee is 58 feet long and 23 feet wide. She is powered with a Cummins 500hp diesel. Coral Lee is an early example of the type of beamier longliners now becoming common. At the time she was built most similar boats were 21 feet wide. 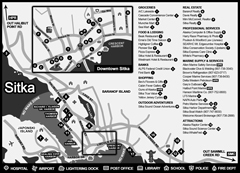 Now, Mike said, some boats are 26 or 27 feet wide. Coral Lee has a steel hull, which Mike said allows for more flexibility and can hold more fish than a similarly–sized wooden vessel. 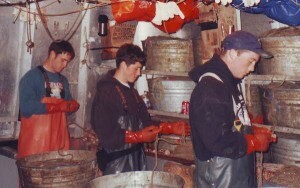 Mike fishes with a four- or five-person crew. One person operates the roller, while steering the boat. The roller is where the skates with fish on them come aboard. Another person or two is tending the gear and dressing the fish as they come up. Two other people are baiting, so that the skates are ready to deploy again. Many times, the captain works on deck. “When black cod (and halibut) weren’t so valuable, some people would haul all their gear and then dress the fish, but that leads to a lower quality fish,” he said. 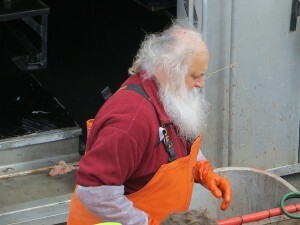 Mike is among those fishermen who strive for the highest quality in their catch. On Coral Lee, he has his crew dress (clean) halibut and black cod (sablefish) as soon as the fish come aboard whenever possible. 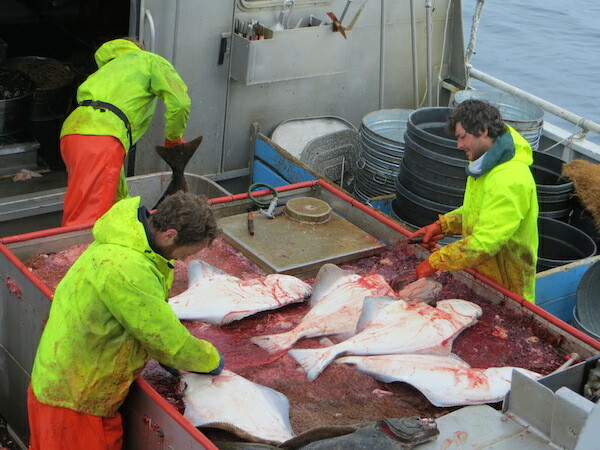 For halibut, he uses “poke” ice – that is filling the carcass of the halibut with ice before it is stored in the hold. Mike believes this method cools the fish faster and more evenly by having ice both inside and outside. Some other vessels store their halibut in an RSW – circulating refrigerated sea water – system. Mike said he thinks the poke ice method is better, although more labor intensive. Mike said he has learned nearly everything he knows from the generous advice of fellow fishermen or by trial-and-error. This is a man not afraid to try something new. Read now about Mike Mayo’s journey across the country and from desk job to fishing captain in Alaska. After graduation, Mike worked in the budget department for two Los Angeles newspapers, the behemoth Los Angeles Times and a small “underground” (independent) newspaper called Open City. But he said he became uncomfortable with the Times’ hypocrisy on the issues of the day. The paper took a strong stance promoting civil rights, for instance, but had only one African American among hundreds of workers. “The late 1960’s was a time when there were a lot of things happening in California,” Mike said — an understatement. The Counterculture stimulated the “less pragmatic” parts of Mike’s brain, and he made his move to Alaska — living in Fairbanks and Juneau, sometimes with his then-young children: Ilona, Danny, Amber, Jeb and Noah. Mike has 10 children — six of them with his former wife Sherie, with whom he is still close. Two of those children were actually born on one of the family’s boats. One May, Mike hitchhiked from Fairbanks to California with the two-year-old Ilona in tow. 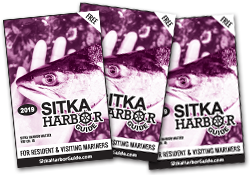 He agreed to crew for a friend aboard his 28 ft. troller, Zigzag, out of Trinidad, Calif., a fishing town 30 miles from Eureka. Mike spent the summer fishing and learned that he liked it – despite suffering from seasickness (he still does, very occasionally). “(But) being on the ocean throwing up was much more appealing to me than being in an office,” Mike Mayo said. Mike worked construction in the Fairbanks area and on the Alaska Pipeline and saved money for his first boat, F/V Helen. Originally built in 1928, Helen is still in service in Sitka. After five years, he purchased F/V Oceanus, a wooden vessel 56-feet-long, with a 14.4-foot beam, built in 1926. In both cases, experienced fishermen had pointed him towards a solid boat. 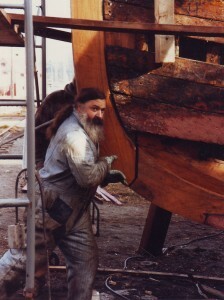 But in 1989, Mike lost Oceanus, when the vessel sank in 80 fathoms off Seward — a mishap he thinks was caused by a new bait shed that had been installed, changing the boat’s center-of-gravity. Oceanus’ balance was over-challenged by a spate of bad weather. Mike and his four crewmembers survived without injury, but Oceanus was a total loss. 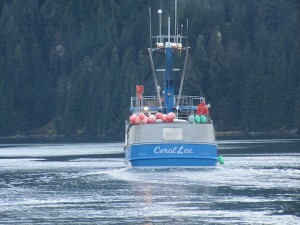 On Coral Lee, as on the previous vessels, Mayo parents and children have fished together as a family. “Physical strength helps, but it’s a mental toughness that when your whole body aches, you have to tell your body not to control you. You control it,” he said. He was an early advocate for hiring women as deckhands – some women fished with him for numerous seasons. He is also known for striking out to new fishing grounds before other captains. A combination of wanderlust and curiosity led him to make a number of trips to China over the years. On one of them, Mike met Summer, then a resident of Beijing. They married in 2010 and have a daughter, Song. Mike also survived a bout with throat and neck cancer about 3 years ago and a heart attack a year ago. He is in good health these days.